You spent a lot of money on that fancy new Mac Pro—now’s the time to make sure that investment stays safe and secure. 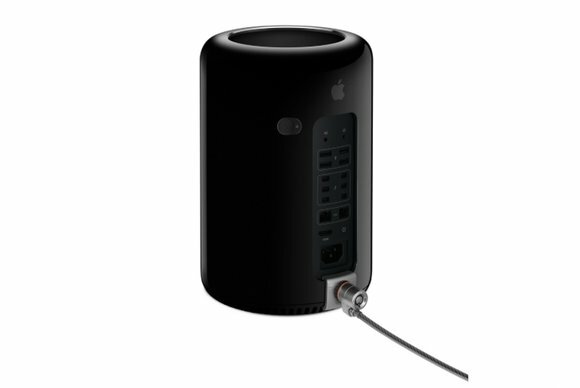 Earlier this week, Apple quietly started selling the Mac Pro Security Lock Adapter for just such a purpose. Keep in mind, the $49 attachment isn’t itself a lock; it merely adds a standard Kensington lock port to the Mac Pro. According to Apple, you won’t need to modify the enclosure or even use tools to apply the adapter, which not only lets you physically secure the desktop computer to something (your desk, for example), but also prevents anyone from opening the computer and, say, removing your SSD or memory.